Is it wrong to be tempted to buy this? Yea I know I post a lot of cars on here but I don’t care. I value the opinions I get on here. Helps me make decisions. Anyway, here we have a 2009 750iL for $15,988 with 99,000 on the odo. From my research it has a clean history with 55 service records available for it going back to late 2015. 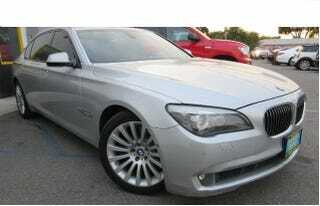 I like this gen of 7 Series better than the last. Good buy?